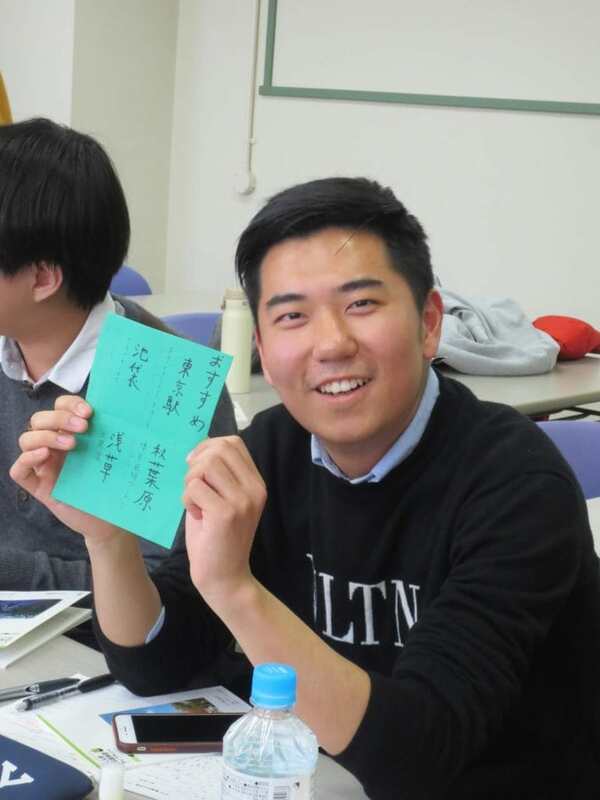 Jiameng proved to be a great MC of the discussion. 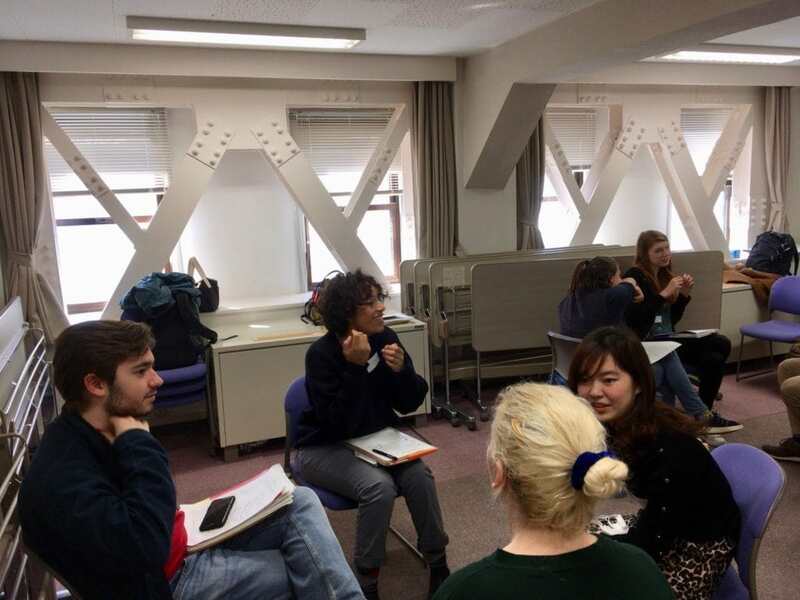 After talking as one large group, students split into smaller groups to continue the conversation. 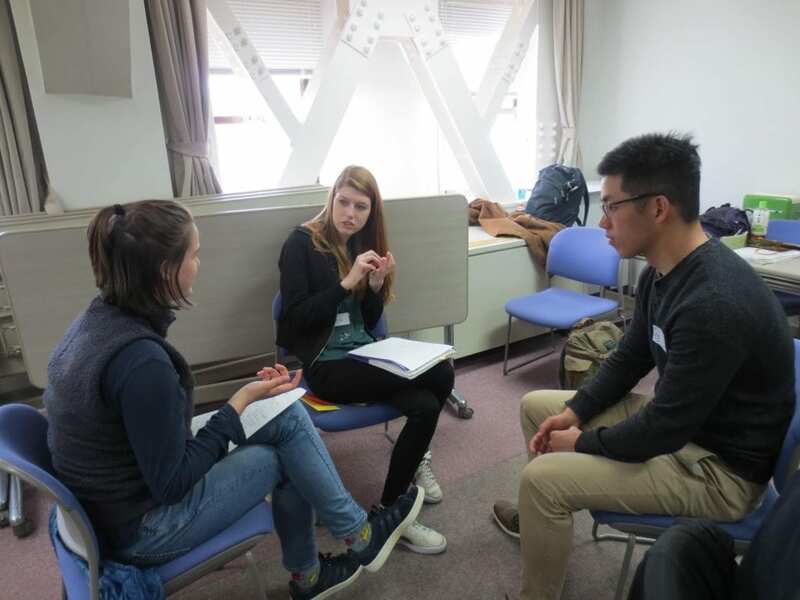 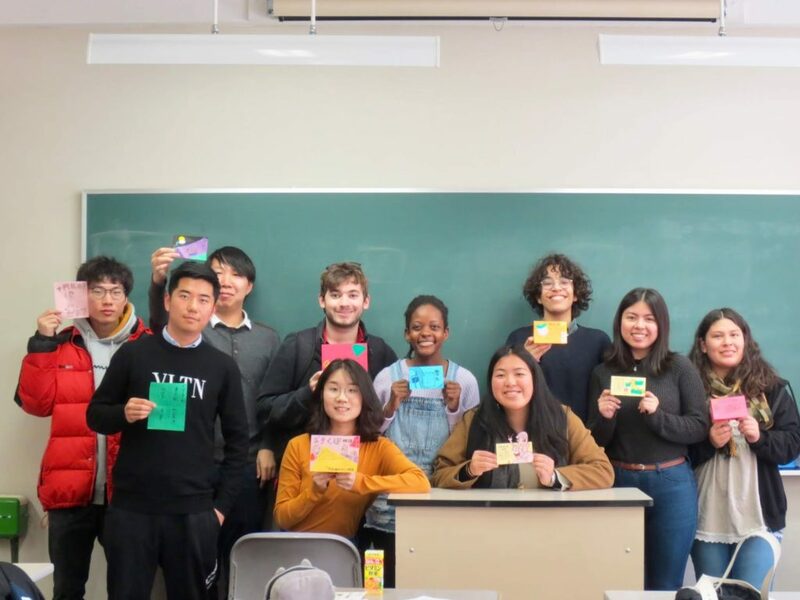 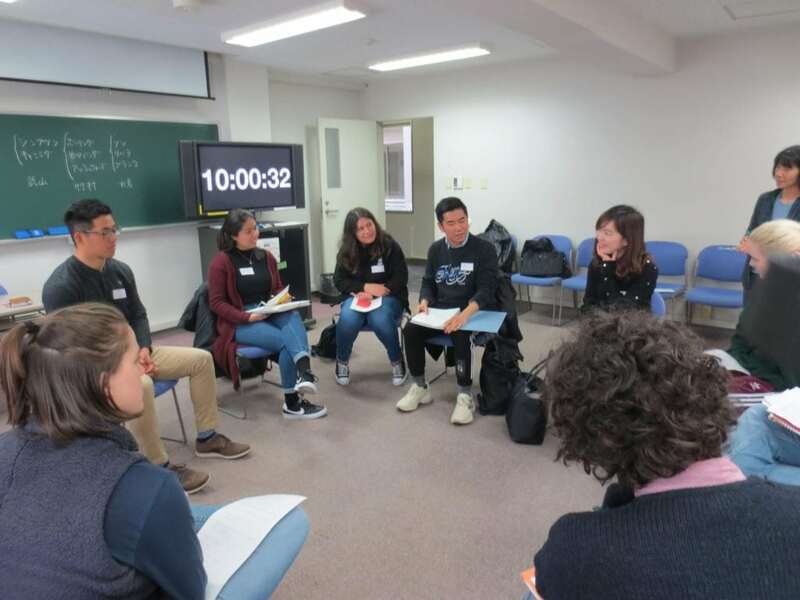 The students had a harmonious and fun discussion, and both AKPers and Doshisha students learned about the different ways people communicate via social media. 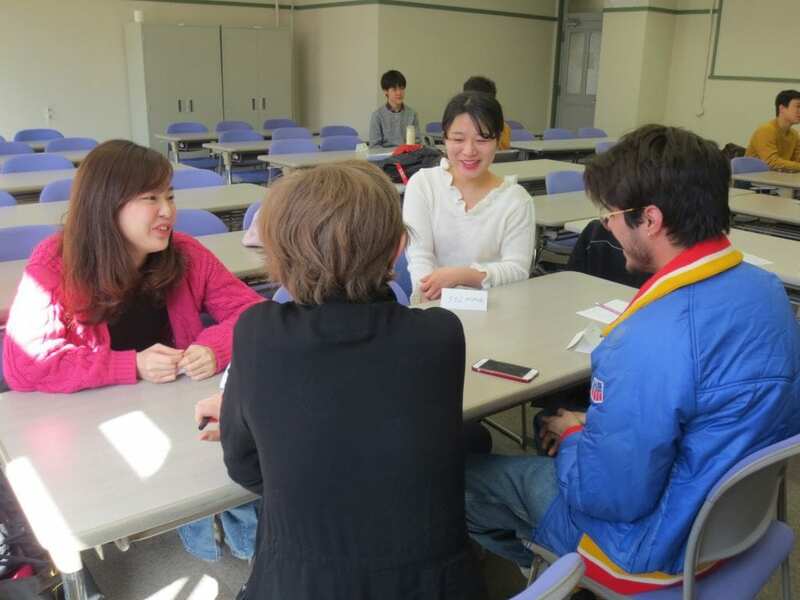 Doshisha volunteers, thank you so much for coming! 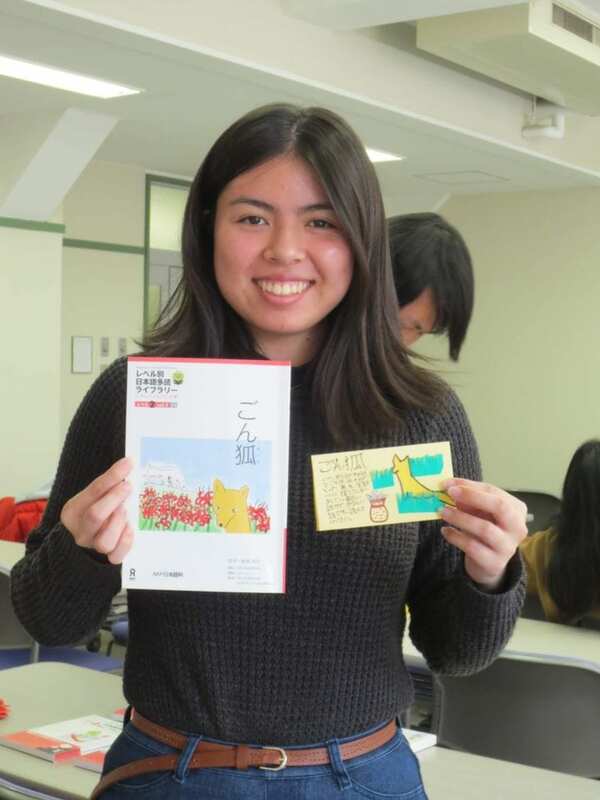 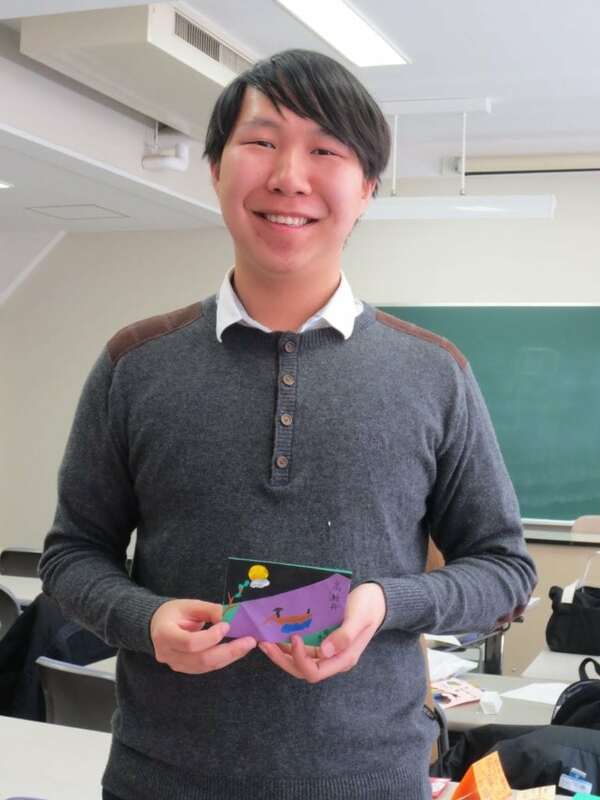 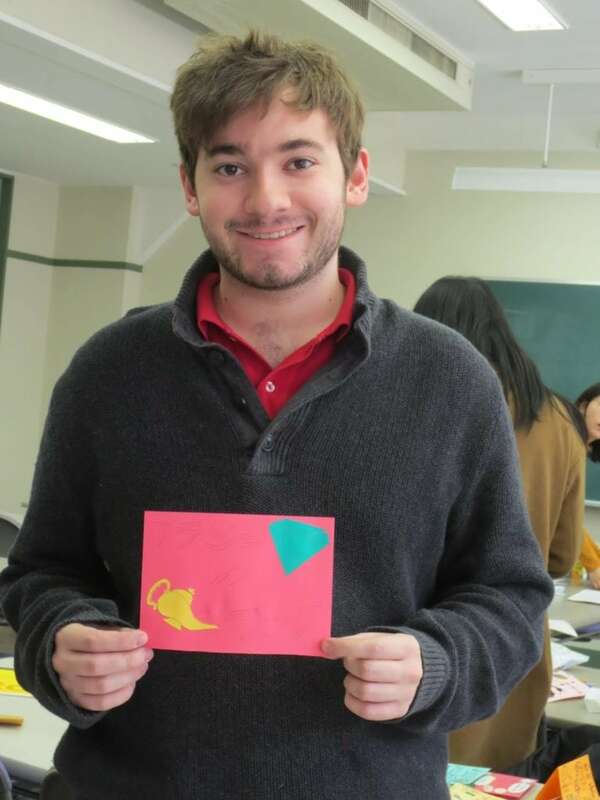 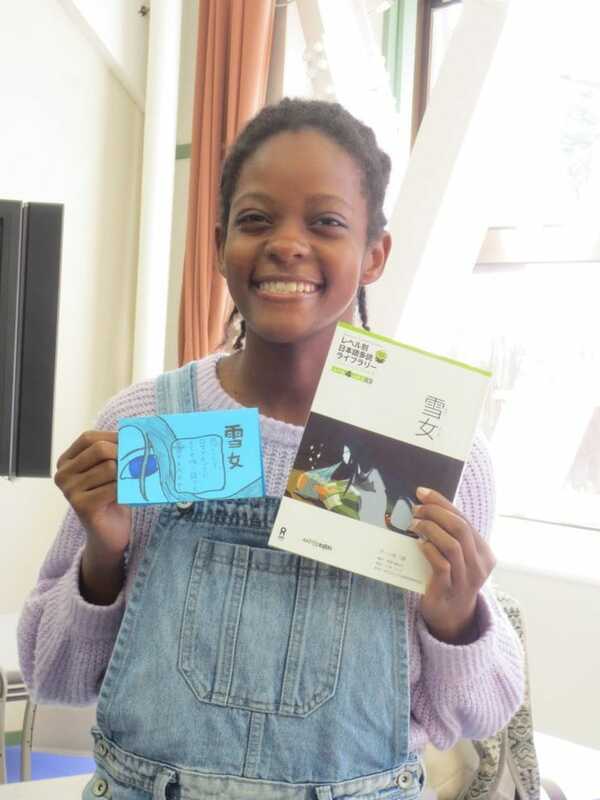 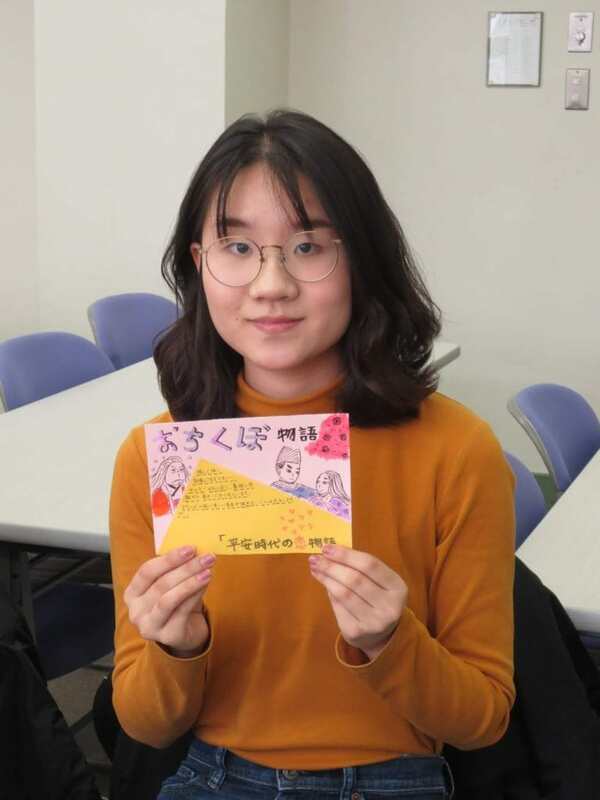 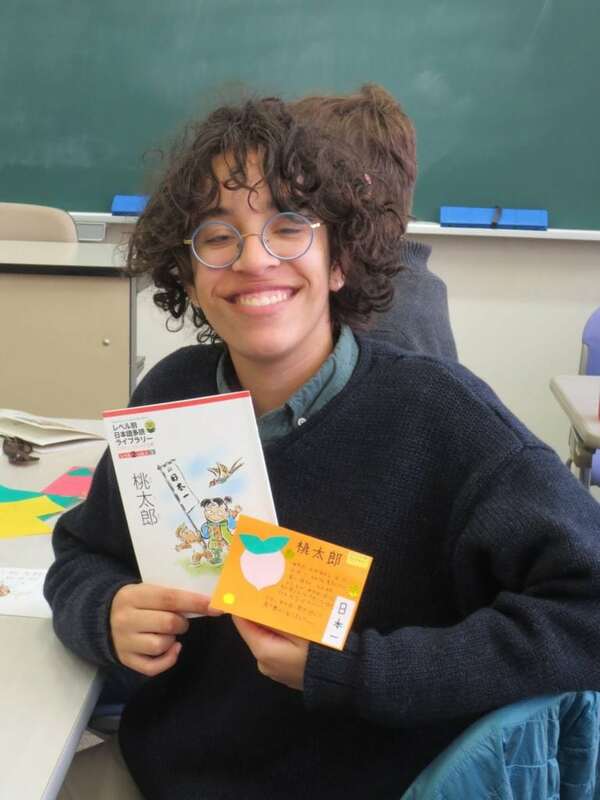 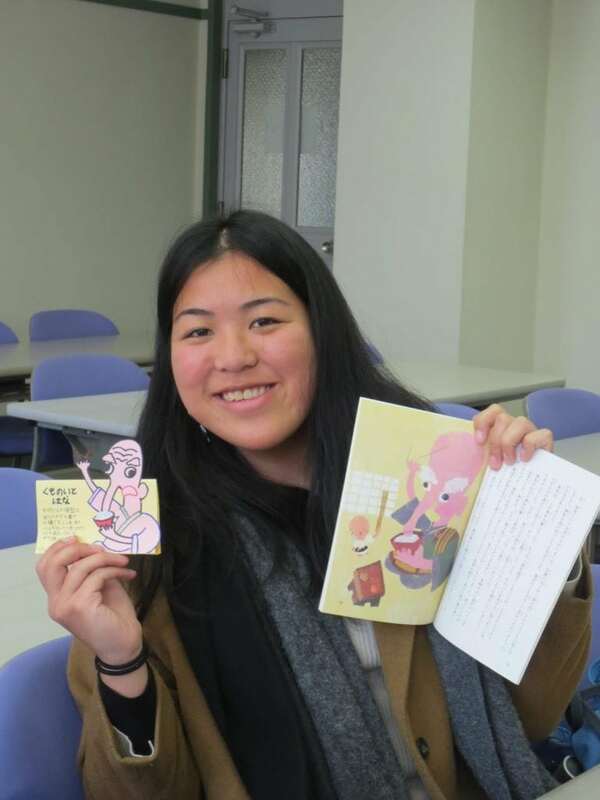 Today in the “Swift Reading” Japanese elective class, students created pop-up recommendation cards for their favorite books. 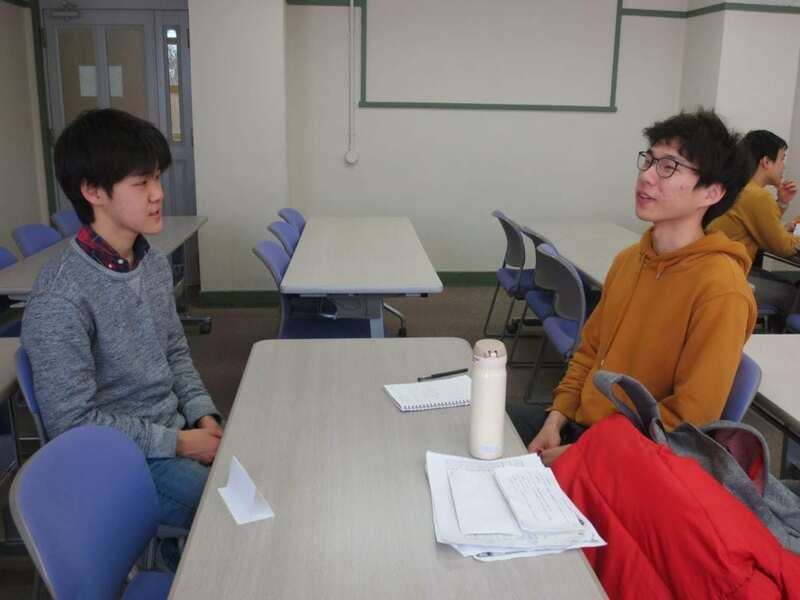 Although this week is graduation at Doshisha, several Doshisha students managed to drop by to have class discussions with AKP students. 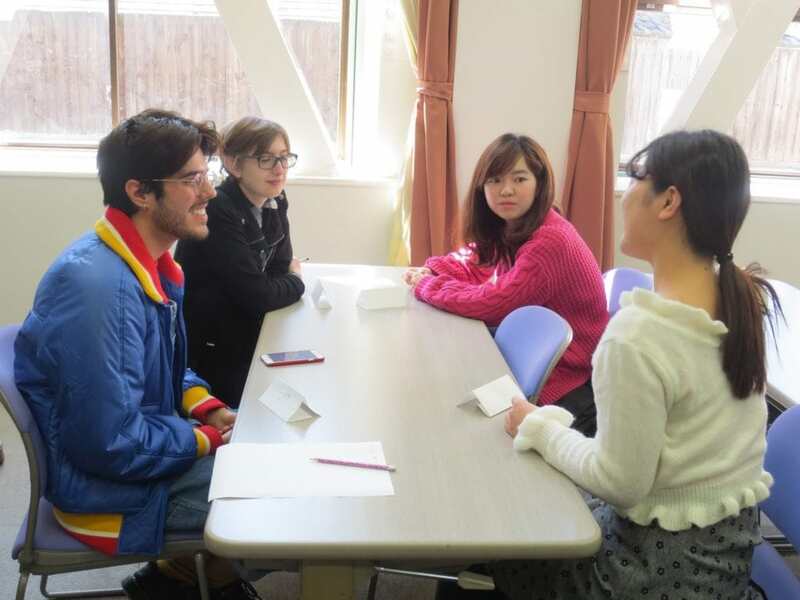 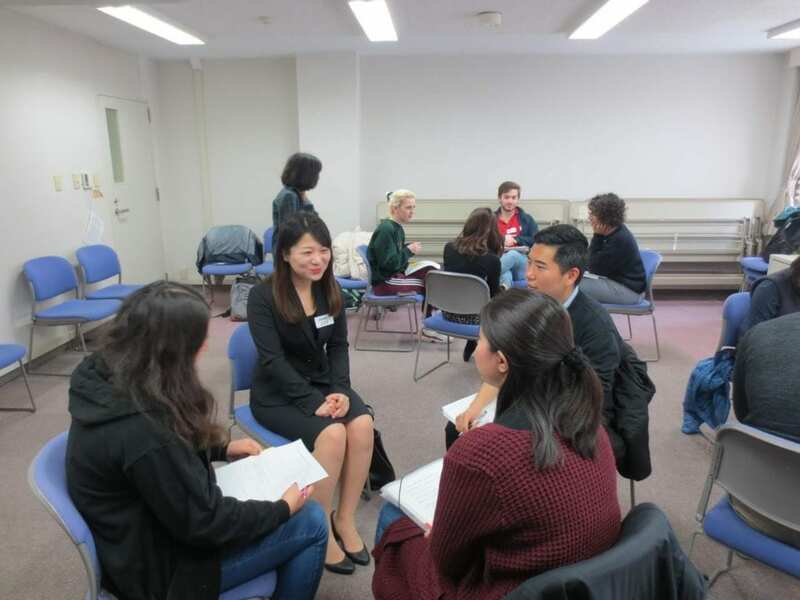 The topics were “dialects,” “men’s speech and women’s speech,” and “job hunting.” Using the articles students read in class, they were able to have a lively discussion. 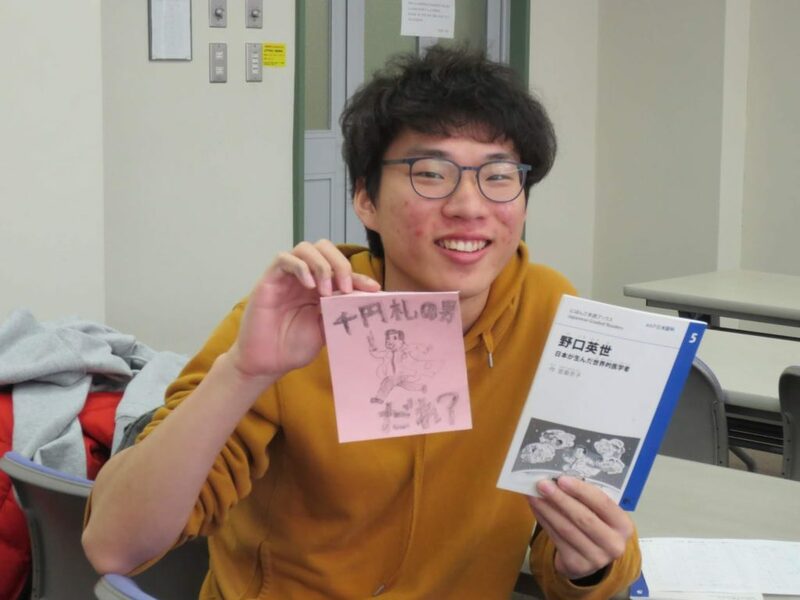 Doshisha students, thank you for coming during your Spring Break!